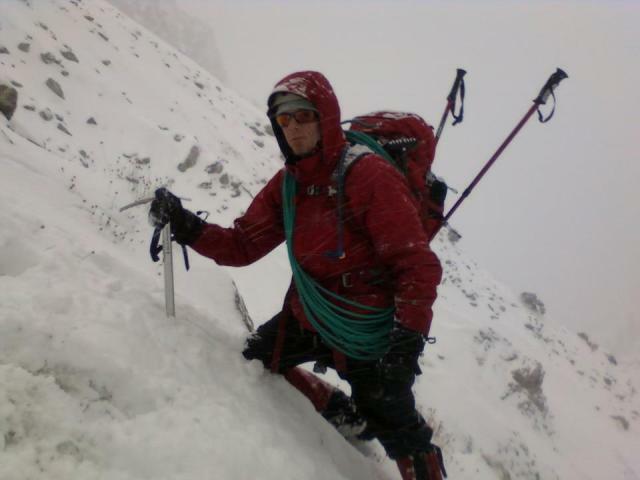 Hello, my name is Aaron Lawrence, and I'm a climber and mountaineer from California. I recieved a variety of flavors of Mountain House pro-packs dried food from MountainHouse.com for review on Highball Blog. 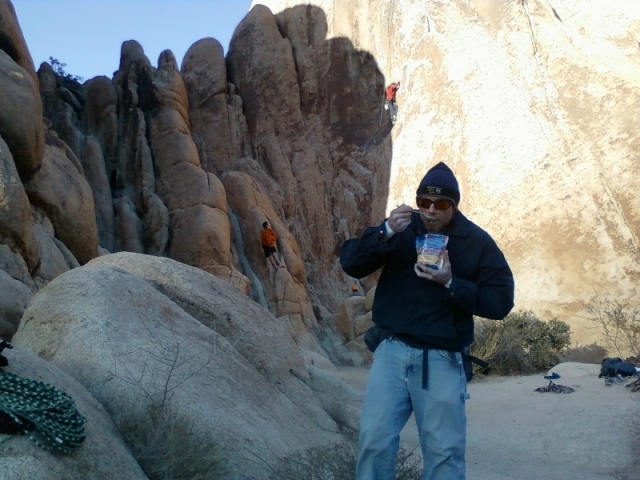 I have been enjoying outdoor activities for as long as I can remember, and I've tried every brand of freeze-dried meals on the market. Some are good and, well, some just aren't. Good or not, most of the meals make two servings, which is fine if there are two people. I usually can't finish it alone. They also take up alot of room in your pack. The pro-pack by Mountain House solves that problem. One large serving (about a pound) and vacuum sealed which saves big time on space. Since the food is dehydrated you'll carry less weight in your backpack; unlike when you carry canned food (metal can + food + water = lots of weight). Just add hot water and you've got yourself a meal that you'd normally have to cook for tens of minutes. Easy and convenient, leaving more time for you to sleep, rest, take photos or hike even further into the wild. 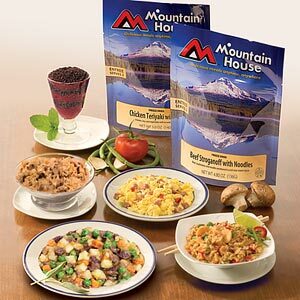 I have to be honest in the fact that Mountain House products have been my brand of choice for years. Flavor & deliciousness, variety of flavors, price and availability have kept them in my pack since I was in Scouts as a child. I would recommend the pro-packs to any outdoor enthusiast who wants a fast preparing delicious meal even in the most remote and harshest places. About the author: Aaron Lawrence is a climber and mountaineer from Redlands - California who tests gear sent by outdoor companies. When he's not climbing, he writes reviews for Highball Blog. Constantin, I tagged you to participate in the "11 Random Things About Me" meme!